Lots of home for the money, home sits on a large corner lot. This was a 4 bedrooms home, but sellers made 1 bedroom into a huge walk-in shower with double shower heads, new vanity w/double sinks and tile flooring, all 3 bathrooms have been remodeled. New laminated flooring throughout, all new doors inside, dual pane windows and doors. Living room, family room formal dining room. Kitchen with granite counters, nice appliances, plus breakfast nook. Recess lighting, Inside laundry. New drain lines and main sewer line has been replaced. Al new polly lines plumbing. Tank less water heater, new insulation throughout, backup generator for when the electric goes out. 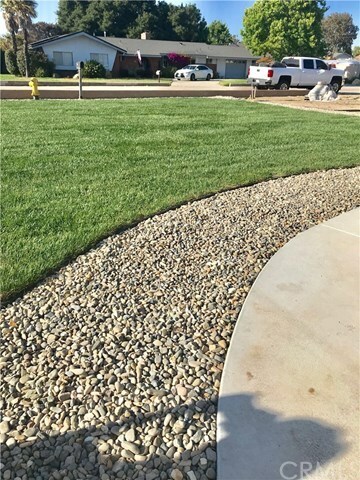 Beautifully landscape with sprinkler system, huge backyard with RV parking. Huge lot over 14000sqft. New block wall and vinyl fencing, new concrete walkway plus so so much more.